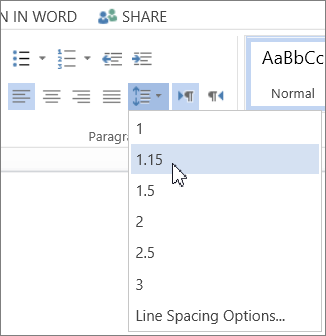 Click Edit Document > Edit in Word Online if you haven’t already. Click anywhere in the paragraph you want to change, or press Ctrl+A to select all text. Click Home > Line Spacing. Select the number of lines of spacing you want. Tip: For even more control, click Line Spacing Options and select the exact options you want.